I pride myself on being able to help the most nervous or anxious of drivers as I i'm always calm and relaxed in lessons. With the right instruction, support, guidance and assistance, I'll make sure that not only will you pass your driving test, but also that you become safe and aware when on the road. I’m currently giving driver training in a Audi A1 1.6TDi, Which is fitted with dual controls for safety and peace of mind. 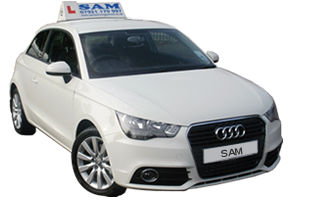 When it comes to the test day I will accompany you on the test or wait at the test centre as you choose and inform you in detail on what exactly the driving examiner will be looking for. Now that you are ready to begin your training, get in contact with me and we'll work out a plan that suits your own pace. I look forward to being your driving instructor!